Summer cookouts bring out classic summer fare. From burgers to dogs to potato salad, we can easily pack on the calories along with the flavor. 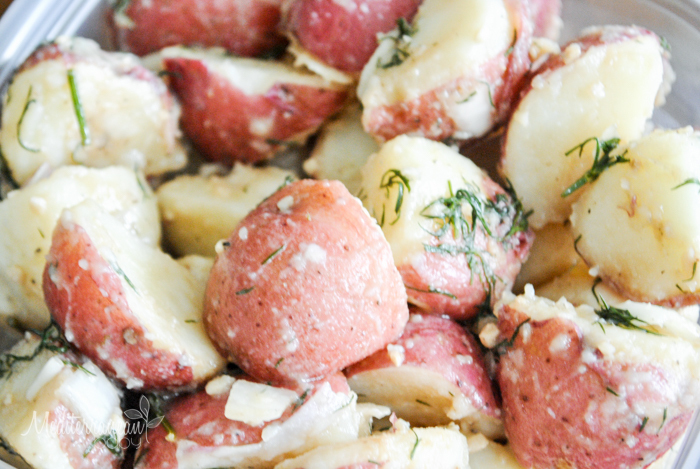 I created this Light and Healthy Potato Salad with tons of flavor so you won’t even miss the mayo and you’ll still fit in your cute summer clothes!! Boil potatoes, skin on, until fork tender, but still firm. Drain, and rinse with cold water to stop the cooking process. In a large mixing bowl, combine remaining ingredients and whisk together. Once the potatoes are cool enough to touch, quarter them and add to dressing in the bowl. 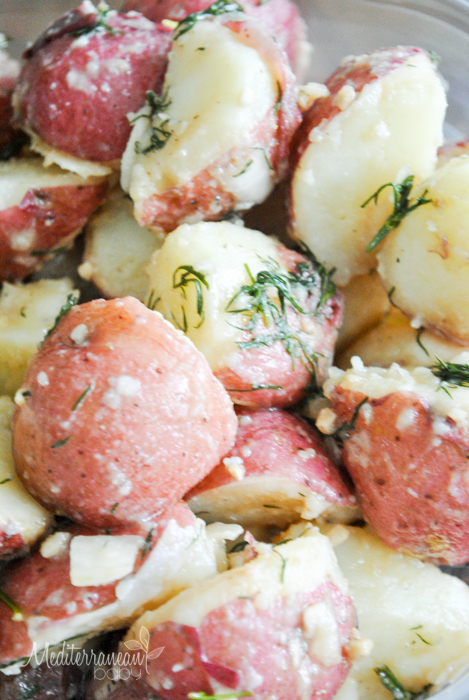 Thoroughly coat the potatoes with the dressing and add salt and pepper to taste. Refrigerate overnight, toss with a wooden spoon, and season with salt and pepper again if necessary.